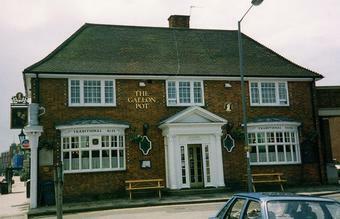 The Gallon Pot was the second of the Great Yarmouth pubs we visited. It re-opened around 6 months ago and is situated at the end of the Market Place. But we were surprised by how quiet it was on a Saturday evening. Nevertheless it ensured we had a quiet meal, which was good value for money and the diane sauce on the steak was sublime. Ales were less inspiring, with Marstons Pedigree, Lacons Hoptrick & Woodfordes Wherry on. Staff were friendly but under-worked. Deserves more custom. We moved on from here to the Oliver Twist, which was my favourite pub of our first day in the town. Whilst it's not listed on here, I will request it and it's well worth a visit for a great selection of ales and cider and a very strange clientele with lots of missing teeth! 4 beers on adnams southwood,lancaster bomber,old speck hen and had the woodfordes wherry at £2.90,ok pint.couldnt get a feel for this place. Visited "Great" Yarmouth to see some relatives and popped into here for a whet.Firstly I had a ask a grey flannel tracksuited,smoking chav to move out of the doorway to get in.Not a good sign.Then I waited ages at the bar for the staff to notice me (it wasnt that busy) whilst hearing a heavilly tattooed,huge 'gold' chain around his neck,muscle vest wearing,baseball cap donned chav swearing his head off.I looked around around and saw what clientele there was and then walked out,after I moved the smoking chav from the doorstep.What ever happened to this lovely,wonderful pub.Avoid at all costs! 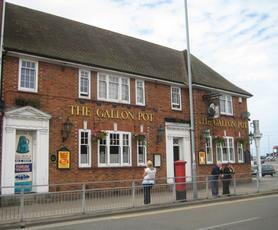 How can this pub only have a rating of 6.1? ?